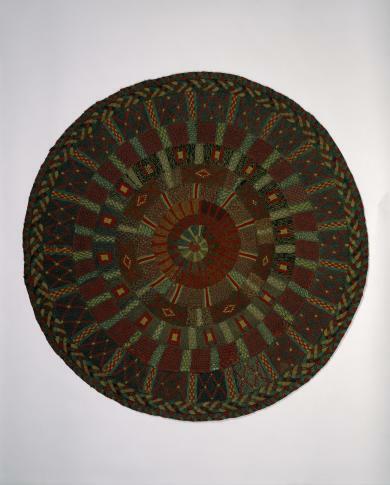 Multi-color knitted round rug. 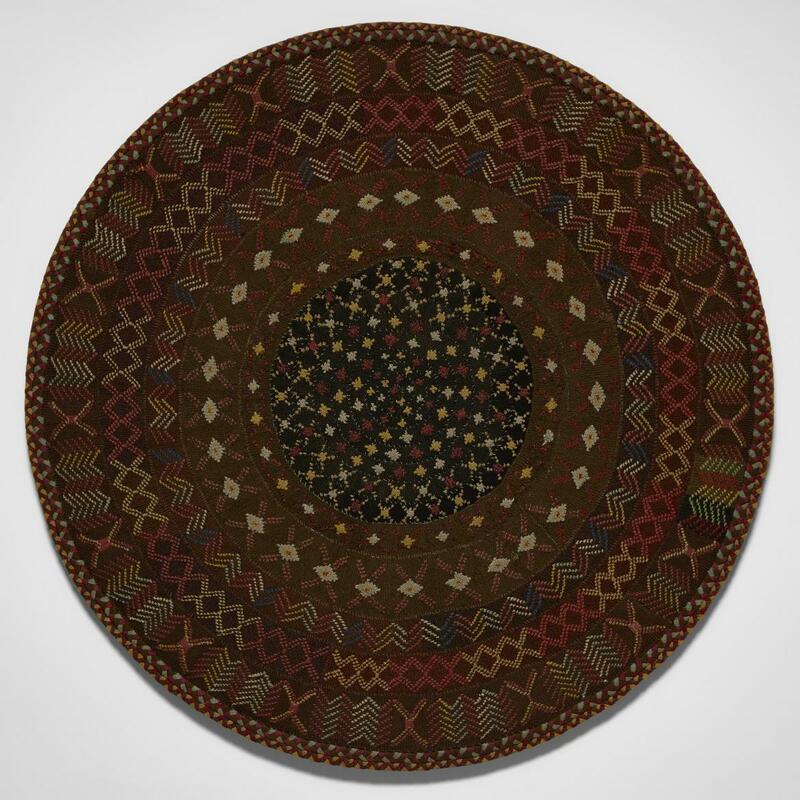 Consists of knitted strips in graduated widths, sewn together creating eleven circles spiraling from the center. 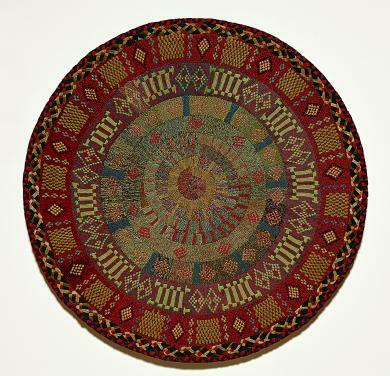 Rug is backed with heavy cotton fabric. Some of the rug's design is in the knitting, some carefully applied on top of strips.